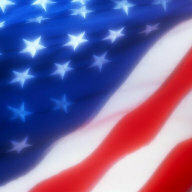 For those of you who don't know, “The Star-Spangled Banner” is the national anthem of the United States of America. The lyrics, coming from a poem written in 1814 by Francis Scott Key, were set to the tune of a popular British drinking song, written by John Stafford Smith for the Anacreontic Society, a London social club. This “Anacreontic Song” (also called “To Anacreon in Heaven”), set to various lyrics, was at that time already popular in the United States. Set to Key's poem and suitably renamed, it would soon become a well-known American patriotic song. With a range of one and a half octaves, this melody is known for being difficult to sing. To make it somewhat easier, we added an easier version of the piece in the last page of the score. This added version is transposed to F major, so that you won't need to play in the third register.